The Brazilian was happy for Edinson Cavani after his side thrashed Monaco, but he also wants more from the Ligue 1 powerhouse. Neymar was delighted with Paris Saint-Germainâ€™s thrashing of Monaco as he urged his team to continue building on their impressive start to the season. The Brazilian scored a second-half penalty after Edinson Cavani had struck a hat-trick for PSG, who cruised to a 4-0 win at Stade Louis II on Sunday. PSG have won all 13 of their Ligue 1 matches this season, opening up a 13-point lead atop the table. Neymar, 26, was thrilled with the result and happy for Cavani, who took his tally to eight league goals this season while scoring the first league hat-trick by a PSG player against Monaco since Carlos Bianchi in 1979.
â€œIâ€™m very happy, happy for the goal and especially for the victory,â€ he said. â€œEdiâ€™s hat-trick â€¦ not only him but we are also happy for him to have made the goals. He is our number nine. PSGâ€™s 13 wins to start a Ligue 1 season are a record, with the previous mark set by Olympique Lillois with eight in 1936-37. 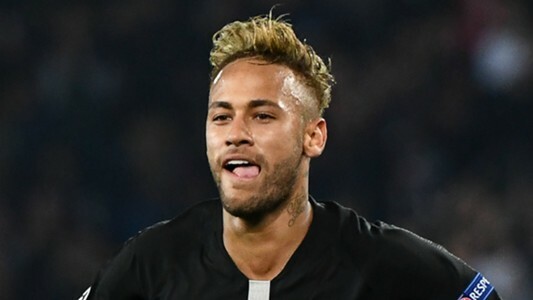 Neymar wasnâ€™t the only one that went on record to call for more from the club as manager Thomas Tuchel said he also demanded improvement from the team.